While summer means sunshine and vacation to many people, it also means hard times for nonprofits due to giving shortages and volunteer inactivity. Interrupted schedules when schools let out and family vacations often get in the way of normal routines for regular volunteers, and it can be difficult to keep a regular volunteering schedule going during the summer months. But, that is no reason to give up on summer! You can keep your volunteers energized and continue growing your nonprofit this summer season. Don’t give up on your volunteers this summer and they won’t give up on you! Your summer volunteers, no matter how few, know how valuable their time is, especially in the summer. Tell your volunteer community about volunteer grants. Volunteer grants are available through companies with corporate social responsibility programs who want to promote volunteer work among their employees. These companies will support volunteer work by matching time people spend volunteering with financial support. Most companies require a certain number of volunteer hours, give various amounts per hour volunteered, and have a maximum grant amount as volunteer grant eligibility standards through their corporate social responsibility programs. Corporate social responsibility programs are more common than one might think. Let your volunteers know about them! Post about these opportunities on social media. Try a week-long marketing campaign and post the giving details for one company each day of the week. Provide a database on your website. Databases easily showcase different company’s rules about volunteer gift matching programs. All the volunteers need to do is click a link, type in their employer’s name, and read about the grant program parameters. Send out an email blast about volunteer grants. If you have the email addresses of your volunteers, use those to get in touch with these supporters. Invite them back to volunteer again and explain volunteer grants. Volunteers want the most out of their time just like you do. Inform people about how they can maximize their time and benefit your cause as much as possible. In-person fundraising events are sometimes difficult to work into busy work and school schedules. This can make regular volunteering difficult to plan for. Weekly volunteers for ongoing projects may be hindered in the summer months. Therefore, it is easier to commit to a one-time enjoyable event during this time. Events can be fun for both volunteers and attendees, so be creative with your fundraising event ideas to capture their excitement and support. In addition to energizing your past volunteers, these events are perfect for recruiting new volunteers. Talk to your attendees and gather their contact information to request a donation of their time in the future. A small concert with local artists. Invite local artists to give back to their community through donating their time performing at a concert. You may add that this is a great way for them to receive some publicity. Hold a raffle night. Gather donations from local restaurants, artists, and other businesses to include in the raffle. Ask volunteers to help make it a family event with food, a face painting station, and other activities. Host a 5K in your neighborhood. Charge a registration fee for people to want to run, then encourage your volunteers to help with the registration processes, setting up the event, and handing out water during the race. While you may be wary of the cost, There are simple ways to keep in-person fundraising affordable. Get creative with your hosting strategies to be sure the event is profitable. For example, entice volunteers to staff the event. You can attract them by offering something in return for their time. You may choose to reward volunteers at a raffle event with one free raffle ticket, or a 5K volunteer with a waived registration fee for the next race. Inexpensive event-planning and management software can simplify your fundraising event even further. This software allows you to organize your volunteers, registrations, and planning details for your fundraising events. You’re not tied to just one software option! Take a look at Double the Donation’s list of top event planning solutions to help you choose the software which will cater to your organization’s specific needs. What better way to get people in the mood for summer than with a bright t-shirt or cool sunglasses? Summertime merchandise is a perfect reward for your volunteers to excite them for summer and for your mission. You can get people even more excited about these products by customizing them yourself! Create merchandise as a fundraiser, such as branded t-shirts. You may also consider creating water bottles, sunglasses, hats, and other products to inspire that summertime feeling. Promote merchandise fundraisers on social media to show off your cool designs and encourage people to share your brand further online. Offer volunteers for special events a swag bag filled with summer-themed merchandise as commemorative souvenirs. In addition to the commemorating events, when volunteers sport your merchandise in public, they are advertising for your cause. They will love showing off your summer merchandise. Someone may ask one of your volunteers, where’d you get that cool t-shirt? And your volunteer would tell them all about your organization. Souvenir sunglasses to commemorate a summertime event. Placing your brand name on the sides of the sunglasses spreads the word about your organization on useful giveaway that can be worn for the rest of the summer. A t-shirt to promote an upcoming fundraising campaign. Give your campaign or event a cool logo to promote on the t-shirt, then encourage people to buy it in preparation for the campaign. A baseball cap with references to your mission. These caps aren’t just for baseball! People love wearing baseball caps all throughout the sunny summer months, so include your mission on the hat to spread the word about your organization. Branded merchandise is an exciting way to reward your volunteers for their hard work and to gear up your organization for the summertime. For nonprofits, stewardship events have long been a staple of fundraising campaigns. Events like these help build the important bonds necessary for organizations to reach their fundraising goals. But, did you know stewardship events are also a great way to celebrate volunteers and create lasting relationships with your supporters? Your volunteers work hard, so don’t forget to celebrate them! The summer is a perfect time to hold a fun activity in recognition of your dedicated volunteers. Stewardship events strengthen your relationships with your existing volunteers, but are also a fantastic way to start new relationships with other attendees as well. Even if you don’t have an urgent need for volunteers right away, begin getting people engaged with your nonprofit. Collect emails or other contact information so you can reach out to attendees later on and request gifts of their time or donations for your nonprofit. A barbeque contest where you provide a small prize for the winner. An outdoor movie. Put up a screen and play one of your old favorites for people to come watch. A kid’s day where families bring kids for face painting, water balloon fights, and hot dogs. Building relationships with your volunteers supports a nonprofit culture in which more and more supporters will be inspired to stay involved with your cause. Hosting fun activities and showing volunteers you care about their lasting patronage is a great step toward building a strong partnership. The summer is a tough time for many nonprofits. Work together with other organizations to mutually benefit one another’s missions and to boost volunteer activity together! Essentially, both organizations will share volunteers as long as you are partnered because both volunteer networks will have access to both organization brands. Food banks because they need to stock extra food for children who would otherwise have gotten free meals at school. Family shelters due to the increased desire for people to escape the heat. Animal shelters because extended family vacations result in more lost pets. Try to partner with an organization who has a similar mission to your own. This way, the volunteers are more likely to be dedicated to both organizations. Sharing networks during the summer will help both your cause and your partner’s cause because the word for giving needs will spread across both organizations. Choose to share social media networks. For example, create a Facebook group with supporters of both organizations. You can post volunteer opportunities in this group for everyone to see. Exchange email lists for volunteers. Send emails to these new volunteers explaining your mission and encouraging them to volunteer for both organizations. Co-host a shared fundraising event. Host a large event and encourage both your support bases to volunteer and attend. Volunteers will build relationships with both you and your partner, plus the two organizations can split the fundraising profits. Sharing volunteers and networks is a tremendous way to widen your support base and get your volunteers excited about the mission of both organizations. Volunteers don’t need to be at in-person events in order to support your organization! They can volunteer from the comfort of their own home computers through peer-to-peer fundraising. Peer-to-peer fundraising is a great way to motivate your volunteers because it is a convenient and free way for them to give their time while socializing with their friends. First, create your event page. Use compelling language and pictures to draw your audience into the page. Next, spread this page as far as you can on the internet. Use your social media platforms, your webpage, and any other resources available to you. Finally, reach out to your supporters and volunteers and ask them to create their own personalized fundraising page to help fundraise from all their online friends. Soon, your fundraising page will be spread across the internet and you will reach people you never expected to reach, and all without standing up from your chair. If you want to bring your peer-to-peer fundraising campaign to the next level, include a fundraising thermometer on the main fundraising page! Peer-to-peer campaigns can be boosted using gamification tools, such as fundraising thermometers. Thermometers motivate donors further because they can see the impact their donation has made toward the overall goal of the cause. Read more explanations as to the effectiveness of fundraising thermometers from Qgiv. In addition to your thermometer, you may also choose to reward donors with fundraising badges or leaderboards to showcase sizeable donors. These gamification techniques appeal to the competitive nature of people and their desire for recognition. Peer-to-peer fundraising also increases awareness of brand name! Your followers will spread the word to their online friends, who will then come back and look up your nonprofit. Your website and fundraising page will see more hits along with your fundraising campaign. The summer doesn’t have to mean a stall in your growth as a nonprofit. Don’t give up on your volunteers or on your cause this summer! These 6 strategies will boost your summer activity and energize everyone involved. 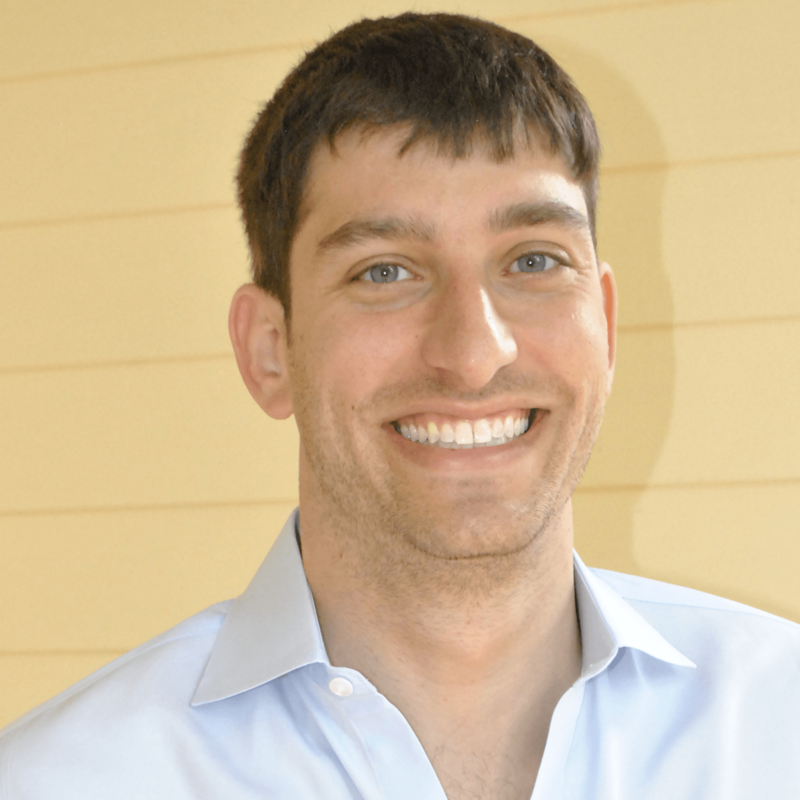 Adam Weinger is the President of Double the Donation, the leading provider of tools to nonprofits to help them raise more money from corporate matching gift and volunteer grant programs. Connect with Adam via email or on email or on LinkedIn.